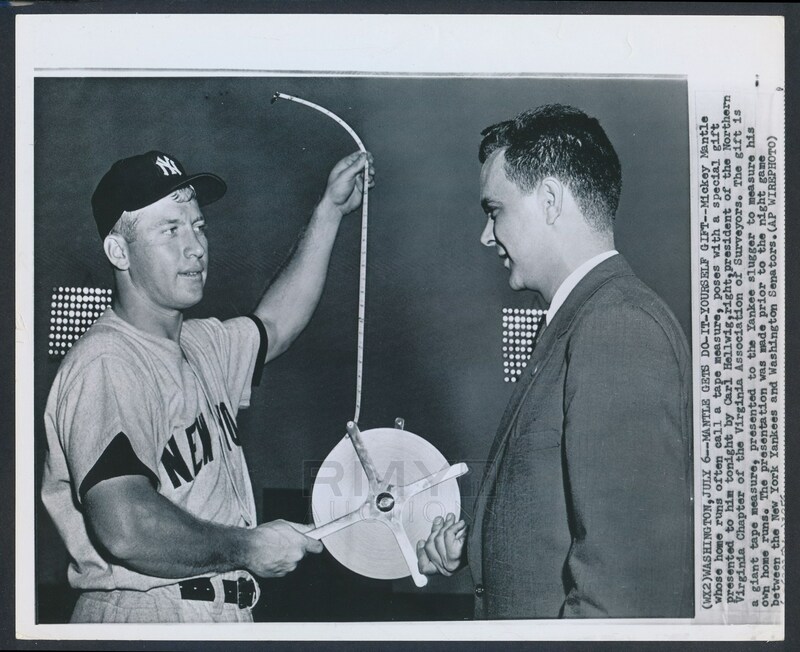 Lot # 70: 1956 Mickey Mantle, "Inventor of the Tape Measure Shot" Poses with Measuring Device for Homer! Today the term "tape measure blast" is a common saying in baseball when someone launches a huge homer. 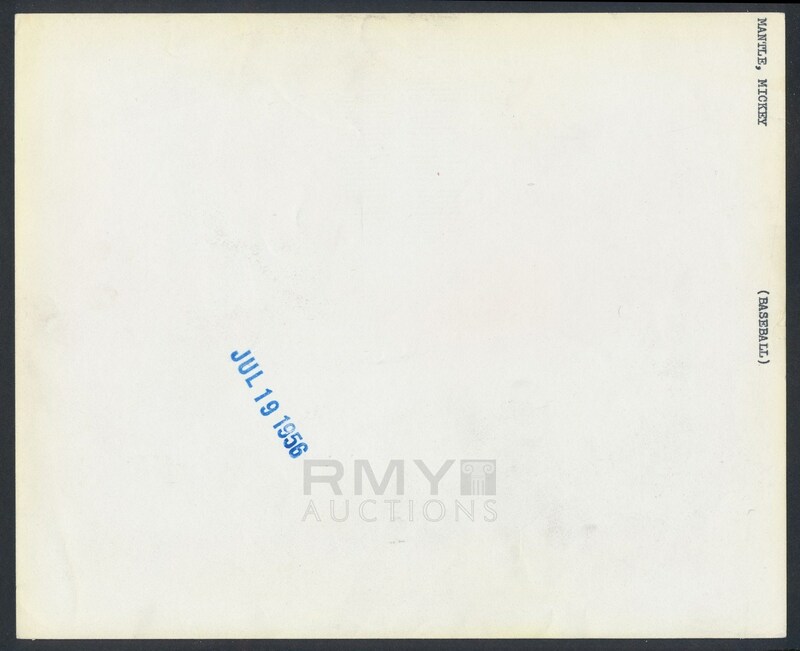 In 1956, it was a new idea and the man who was launching the slogan was youthful slugger of the New York Yankees Mickey Mantle. Here he poses artfully with a large tape measure that he was being presented as s symbolic gift. Posed in uniform with a surveyor who was explaining to Mickey how it was used, this is a really cool piece of photography!